“Greed, for lack of a better word, is good.” We think Gordon Gekko would appreciate these ego-boosting accessories– so much so that he would probably not settle for one, but want all of them. It seems the bull and bear philosophy that has dominated Wall Street is permeating the design world and inspiring all sorts of furniture and decor ideas. If you’re a finance geek yourself, or know someone that is, perhaps these might be some great gift ideas. These bear-shaped coffee tables by Russian designers Napalm are more like sculptures and celebrate the country’s symbolic animal. 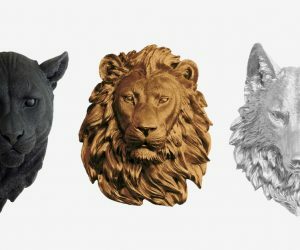 But it may also intrigue the Wall Street geek, especially the glass version which may be suitable for a modern office and help to inspire and remind those that see it everyday, of the animal’s power and strength. 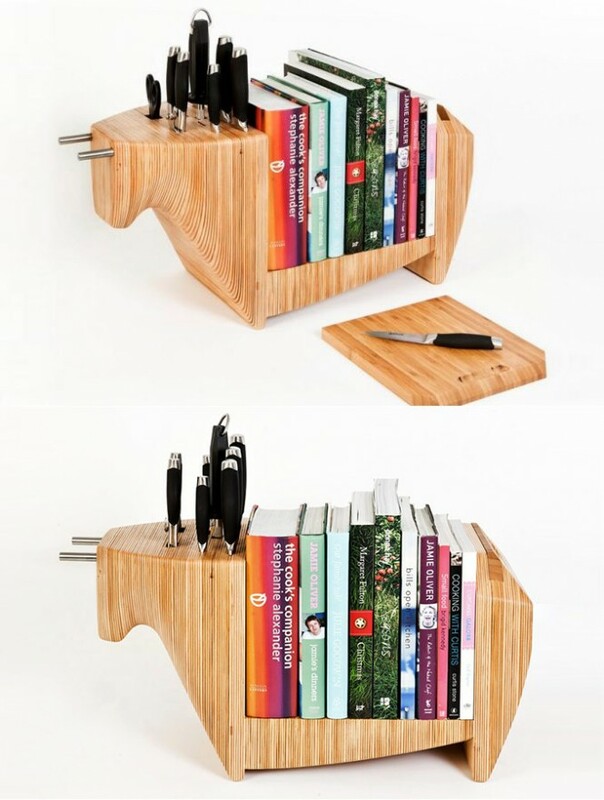 This bull knife and cookbook holder by Toro Legno is a befitting way to organize your most dangerous cutlery. Somehow, a bull seems like the most appropriate animal and makes for a powerful metaphor. 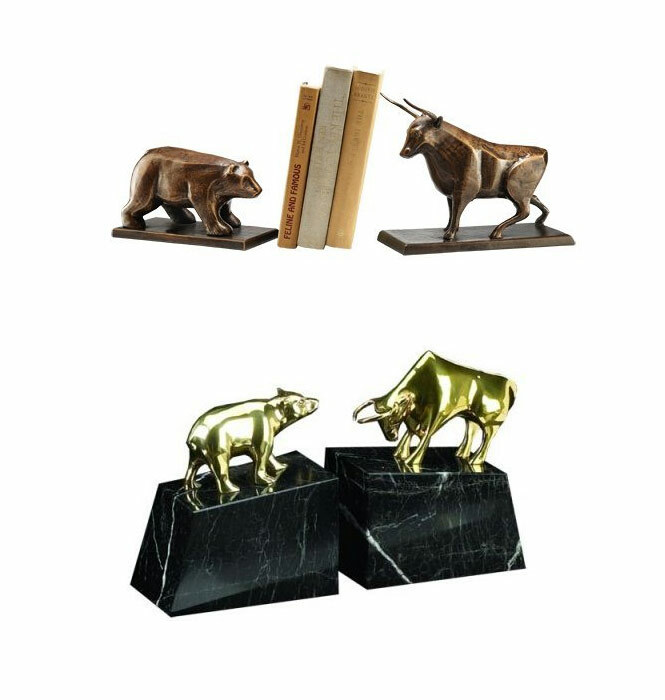 These beautiful bull and bear figurines by Swarovski are the perfect, fiery decorations for an office at the Stock Exchange. 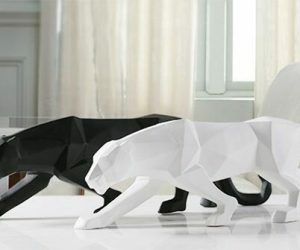 The bear is made from Marron Shade crystal, while the Bull is made of Silver Shade crystal, and both stand on India granite bases. Stand them next to each other, and it almost looks like they are in battle. You can check them out here at Amazon. Decorative bookends are pretty popular among trading folks. 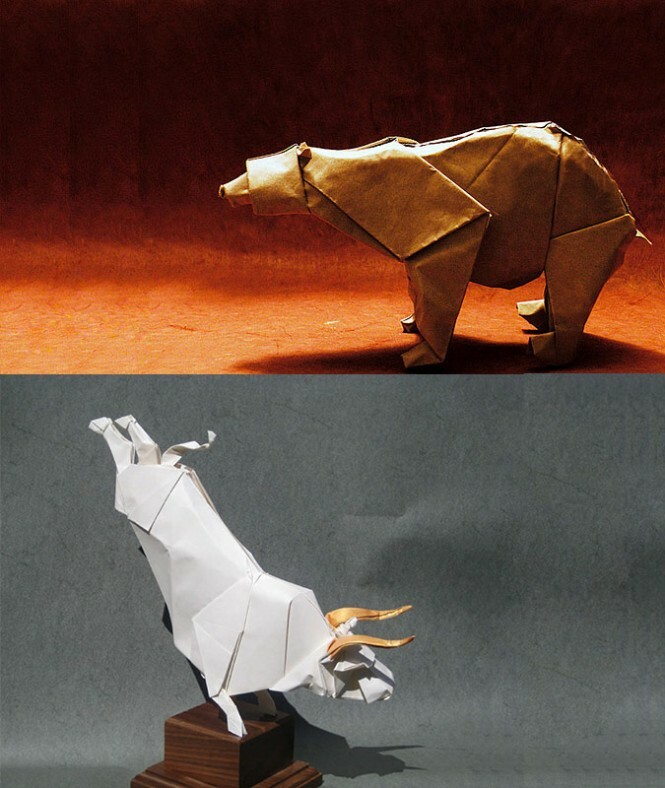 These origami artists put a Japanese spin on the old bull and bear symbols. 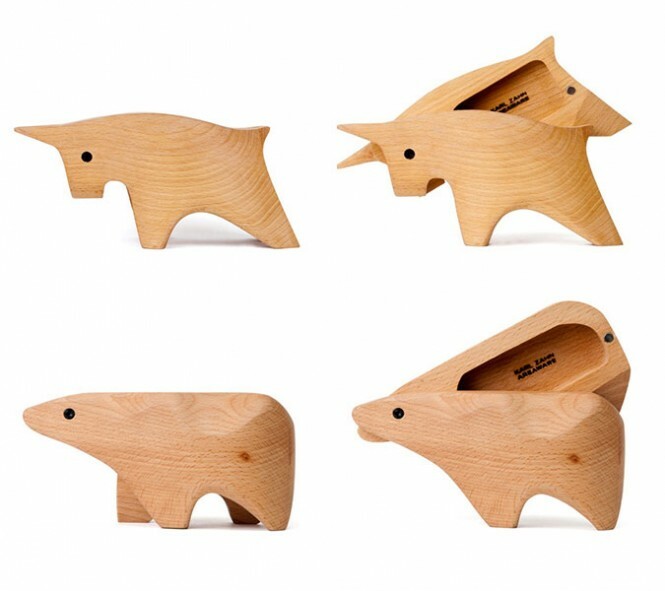 Cuter than the former accessories, these wooden bull and bear boxes by Areaware, have eyes that act as hinges and can store little trinkets inside. 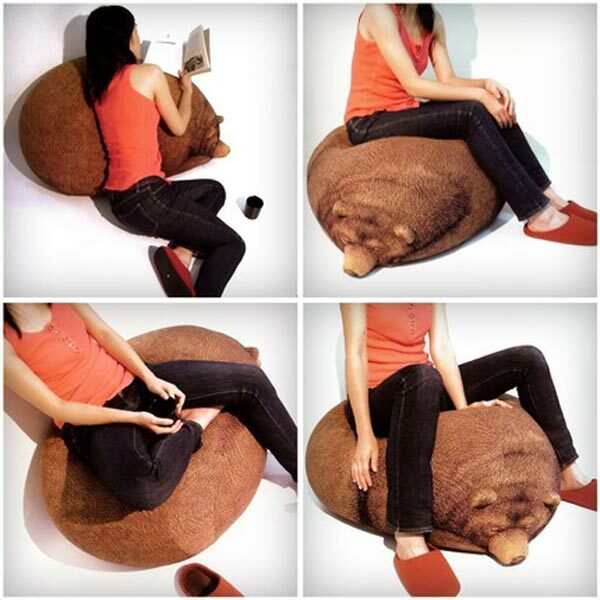 If you aren’t too freaked out by it, you may like this sleeping grizzly bear bean bag by Chic Sin Design. 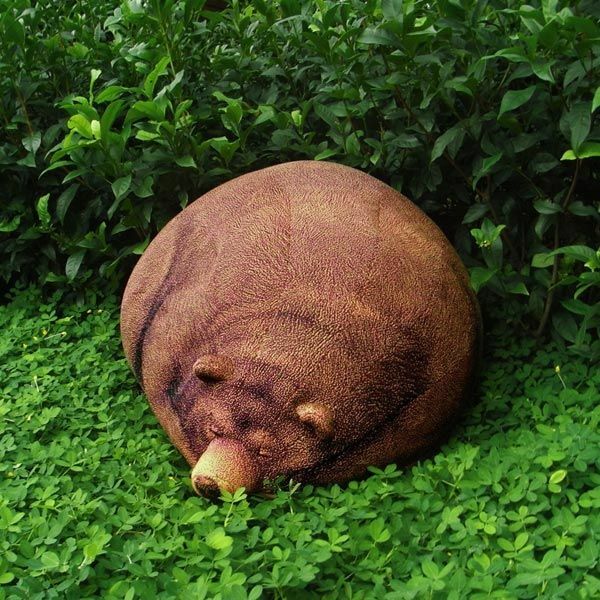 The round, bear bean bag measures 51 x 70 x 103 centimeters and was knitted using bear graphics, which mimics the animal’s furry hide better than usual printed upholstery. The head is shaped like a real bear’s crown. 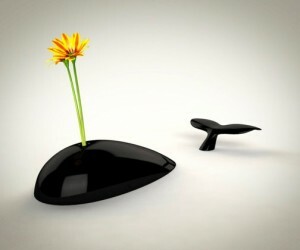 It is so realistic, you’re almost afraid you might wake it up by sitting on it! We are fans of terrariums — they take care of themselves and are a refreshing, natural decoration in any home. 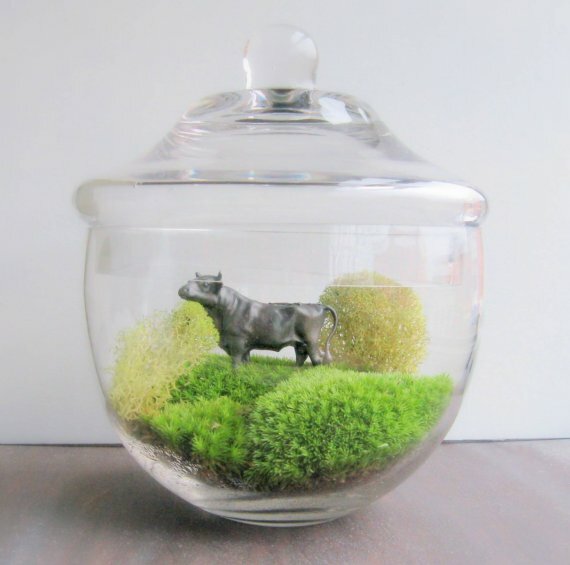 We think a lot of people, and not just the finance geek, may appreciate this large moss terrarium with a pewter bull accessory by Etsy shop owner MadebyMavis. 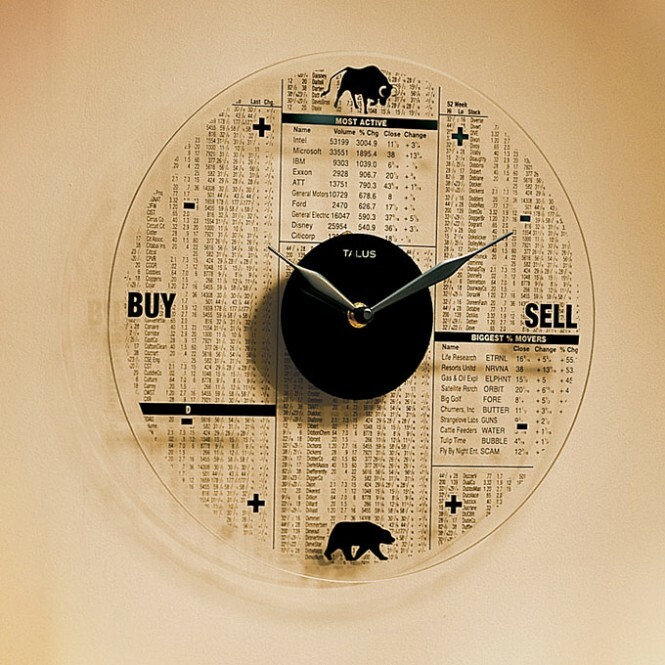 This sleek Buy/Sell clock by Creations & Collections, is a 12 inch glass surface with stock quotation and bull and bear prints. 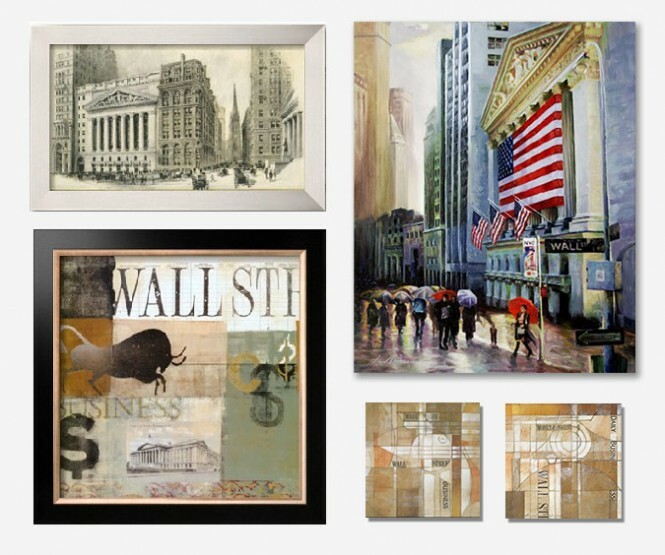 Know an artsy, Wall Street type? 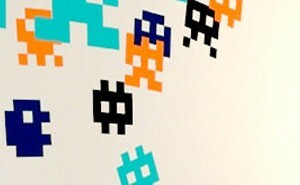 Perhaps they would like these Wall Street inspired posters and prints available at art.com. We really like these hand signal prints by artist Mike Nudelman. 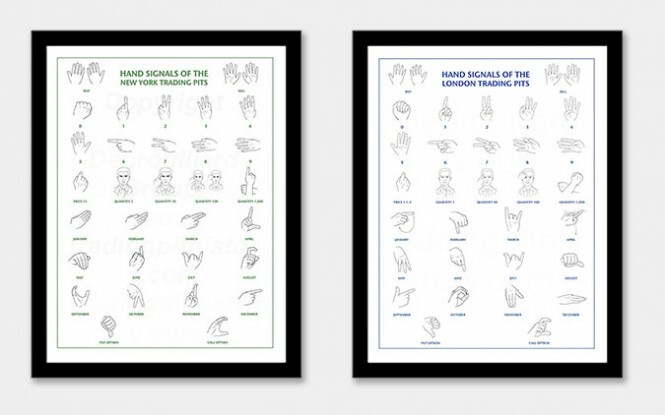 Offered at Trading Pit History, the 18″ x 24″ prints are two-color screen-printed on heavy stock paper and showcase the hand signals used in stock exchanges the world round.